He’s seen as unbeatable and bears an undecipherable game, to the point of Dana White naming him as the much heavier Anderson Silva’s next opponent – with whom he battles for post of most well-rounded fighter in the UFC. What is black belt Georges Saint-Pierre’s training like, and how has Jiu-Jitsu – its techniques and philosophies – helped him hang on to his UFC 155-lb belt for so long? We took advantage of GSP’s trip to London, for drawn-out training sessions with Roger Gracie and Bráulio Estima, to reap significant lessons from the champion for readers and your average practitioner, assembling them in an eight-page layout. With GSP even teaching one of his most famous finishes. It’s a can’t miss issue, not just for Jiu-Jitsu and self-defense fans, but for readers keen on the goings-on in the world of MMA. 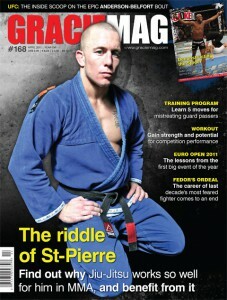 Get your copy of GRACIEMAG at home by clicking here. 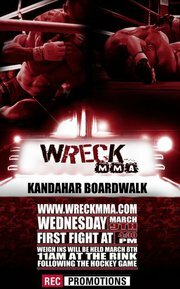 Wreck MMA is proud to announce that they are making their second visit to Afghanistan to entertain the troops with six professional MMA fights. Following the trip in October, the thousands of troops in attendance loved the event and couldn’t wait for Wreck to return. Their wish will be fullfilled as the Canadian forces asked Wreck to once again step up and support our troops. 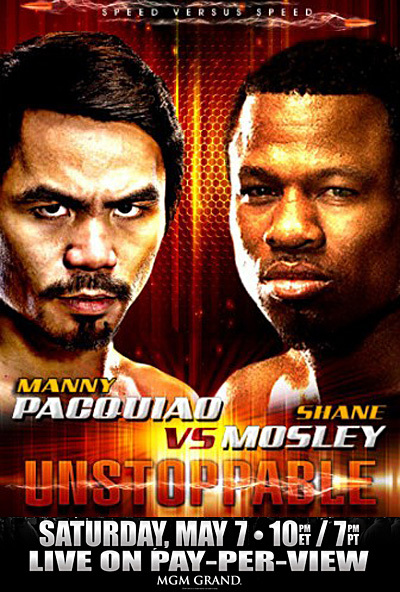 The fights will begin on the afternoon of March 9th, 2011 and headed to Afghanistan are two teams of six fighters ready to entertain the thousands in attendance. The first team will be coached by the Head Instructer of the Ottawa Academy of Martial Arts, Pat Cooligan and the other by the experienced coach and fighter from London’s Adrenaline MMA, Chris ‘The Menace’ Clements. The main event will have Caledonia’s Bryan Edge taking on Brampton’s Theo ‘The Poetic Hitman’ Toney in what should be a highly contested and exciting tilt. Fighters from all corners of Ontario will fill out the rest of the card as fighters from Rockland, Woodbridge, Wallaceburg, Brantford, Windsor, Sarnia, London and Ottawa will be competing. All fighters and staff will once again be donating their time to support the troops who protect us every day. The fighters participating in this event deserve a lot of credit for stepping up and giving back to the troops. MMA fans and fanatics across the map saw their dreams turn to reality on January 1, 2011 when the Government officially legalized Mixed Martial Arts in Ontario! The buzz has been going for weeks and Jones Entertainment Group (JEG) is among the first to carry it forward. 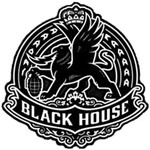 On May 19, 2011 JEG will fill the John Labatt Centre (JLC) with over 9,000 MMA fans, creating one of the most memorable sporting events to ever happen in London, ON. Canada’s top fighters will go face to face with the world’s best, in an 8-bout matchup that is sure to leave spectators high on MMA adrenaline for days! With the Jones family having been in the entertainment business for over 80 years – starting back in the 1920’s promoting boxing and wrestling events with heroes like Whisper Billy Watson – it’s no wonder Brad Jones finishes off his quote by saying “This is a very exciting day”. 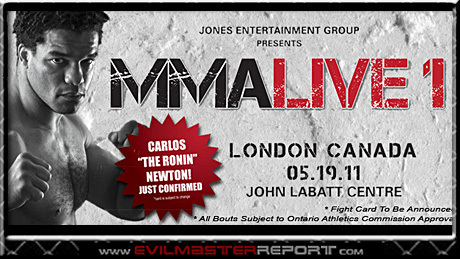 Next to Toronto’s April 29th UFC event, MMA LIVE1 on May 19th at the John Labatt Centre in London, will be the biggest event in Ontario in 2011. It was neither pretty nor surgical, but Rosi Sexton edged out a win against Roxanne Modafferi in the highly competitive main event of Cage Warriors Fighting Championship 40 at London’s HMV Forum on Saturday. 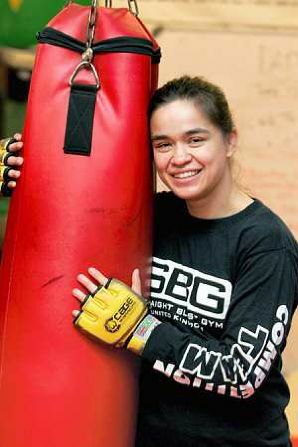 Both 125-pound women came out slinging leather, with Modafferi mixing in push kicks to keep the shorter Sexton at range. Sexton succeeded in taking the fight to the fence, where the two jockeyed for position and takedowns with over-under hooks. The round was largely a stalemate, with Modafferi scoring with intermittent knees in the clinch and Sexton finally securing a takedown in the waning seconds. Sexton needed less time — roughly 90 seconds — to drag Modafferi down in the second, but was unable to advance past the rangy American’s guard once there. 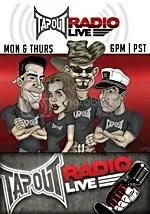 Modafferi threatened with an armbar from the bottom and finished the period hunting for a leg lock while dodging short punches from Sexton. James McSweeney freely acknowledges that he provokes mixed reactions among MMA fans. 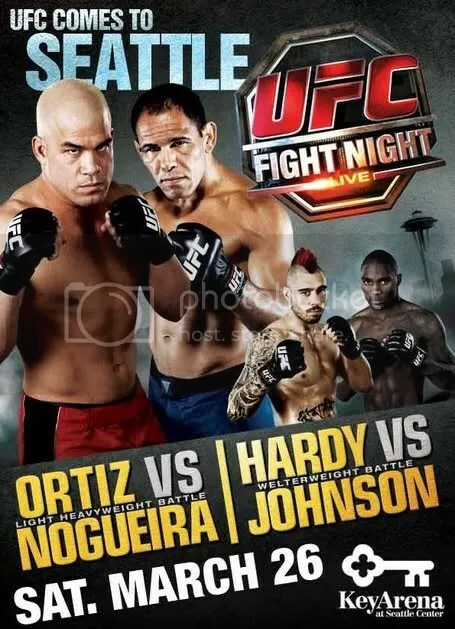 There are a contingent who did not take to him during his time on The Ultimate Fighter season ten, during which he sometimes came off as arrogant. But sitting down with Fighters Only at the BAMMA 5 weigh-ins in Manchester today, McSweeney seems almost a new man. He looks leaner, stronger and more focused than we have seen him in a long time and his answers to our questions were characterised by a modesty and maturity that was at times absent in his TUF appearance. McSweeney credits his new focus to a move back towards his roots. Following the loss to Fabio Maldonado at UFC 120 last year, he went back to training with Lucien Carbin in Amsterdam. When Fateh Belkalem immigrated to London in 1993, the world of mixed martial arts was about to be turned on its head. With a judo black belt around his waist ¬– which he earned after years of following in his father’s footsteps in Nigeria – and aspirations to achieve a second black belt in Brazilian jiu-jitsu (BJJ), training partners were hard to come by. “The first thing I did – it was just natural for me to look for a judo club,” said Belkalem, who also held a degree in sports training from France. He found one on Dundas Street and remembers seeing two others inside training. Belkalem ended up teaching judo there while he traveled to the US to be graded in BJJ before opening London Brazilian Jiu-Jitsu in 1996. Around the same time, the Ultimate Fighting Championship was starting its rapid ascent into the mainstream and a BJJ expert by the name of Royce Gracie was shocking the MMA community with his amazing submission skills. Belkalem was familiar with the techniques. “I’ve been doing this since I was six years old,” he said. Born from judo, BJJ focuses on chokeholds, submissions and technical ground techniques. The Gracie family‘s version of the martial art is widely considered the catalyst of the multidisciplinary movement in today’s MMA and one of the reasons behind the sport’s explosion in popularity. If one was to refer to Gegard Mousasi as ‘jack of all trades,’ they wouldn’t be far off. Mousasi has an accomplished and ever-evolving career in mixed martial arts and recently nabbed a victory over a top-ranked kickboxer in Kyotaro at a K-1 rules fight in Japan. And it appears that Mousasi is looking to compete at the highest level of yet another martial arts discipline. Sources close to the fighter have informed MMAFA.tv that Mousasi has started the qualification process to compete in boxing at the Olympics in 2012 in London. Mousasi is training in Holland and plans to represent the country at the events, should he qualify. Apy Echteld, Mousasi’s manager, says that his success in the sport of boxing could only help his career in mixed martial arts. UFC Rumor: Kenny Florian Dropping to Featherweight 145 Pounds, Wants Jose Aldo? The Ultimate Fighting Championship is building their International Fight Week event more and more, adding a thrilling bantamweight matchup between Sean O'Malley and Marlon Vera to already stacked lineup. The Legacy Fighting Alliance is returning to Sioux Falls, S.D., for LFA 64, where every professional fighter successfully made weight. Surging Ultimate Fighting Championship welterweight Anthony Rocco Martin has scored the biggest opponent of his career, where he will reportedly face Demian Maia at the upcoming event in Minneapolis, Minn., this June. WBC super flyweight champion Srisaket Sor Rungvisai and Juan Francisco Estrada have made weight and are ready to put on another barnburner. It’s been a while since Nicco Montano has been inside the Octagon, but she is hoping that changes in the coming months. Italian fighter Danilo Belluardo (12-3) has joined the major leagues, as the time to prove himself in the Ultimate Fighting Championship has arrived. The Nevada State Athletic Commission has fined Pedro Munhoz $2,500 for jumping out of the Octagon following his victory over Cody Garbrandt at UFC 235. It’s been quiet on the Zuffa Boxing front in recent months, but the venture is apparently still very much alive. Alexey Oleynik is facing a potentially lengthy layoff following his loss to Alistair Overeem in the UFC St. Petersburg headliner this past Saturday. UFC on ESPN+ 10 event page, fight card rumors and start times for the May 18, 2019 event at Blue Cross Arena in Rochester, New York. UFC on ESPN+ 9 event page, fight card rumors and start times for the May 4, 2019 event at the Canadian Tire Centre in Ottawa, Ontario, Canada.